K-Tek’s new Stingray Comtek Pouch is custom designed to provide optimum protection for COMTEK PR-216 series receivers while transporting and working on set or location. 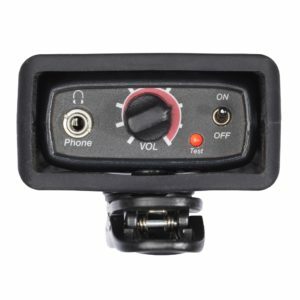 With a compact form factor, this black essential cover provides easy access to jacks, switches, controls and the battery compartment while it safeguards the receiver. The Comtek Pouch fortifies the receivers with 0.2-inch (5mm) rugged molded hypoallergenic silicon to cushion the electronics and the housing. 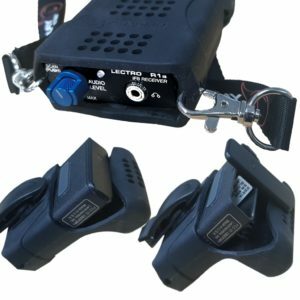 The belt clip makes it easy to attach the ComTek unit to pockets and belts. The included 47-inch (1.2m) lanyard can be clipped to the pouch and worn around the neck or over the shoulder. It also comes in handy to hang the unit off a director’s chair, on a sound cart, or any hook. The Stingray Comtek Pouch (#KSCP) is available online or from K-Tek dealers by mid-August 2018.